Crispy gobi (crispy cauliflower) or gobi 65 is a very popular indo-chinese starter in India! We call it Indo-chinese because it suits Indian taste and probably you will not find anywhere in China but almost everywhere in India! Crispy veg, Crispy Paneer (cottage cheese) are also very popular along with Crispy gobi and almost prepared in the same way. The cauliflower is marinated with a batter of cornflour and refined wheat flour along with some spices and then deep fried and finally mixed with some sautéed green onions, garlic and some spicy sauces. 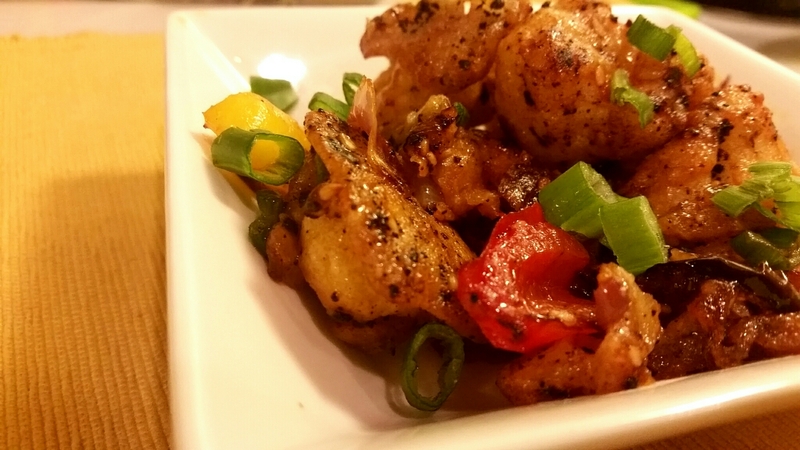 This is one of our favorite starters because of its spicy and crunchy taste and ofcourse is quick to make! ▪ Deep fry the cauliflower florets in small batches, untill brown and crispy and set aside. 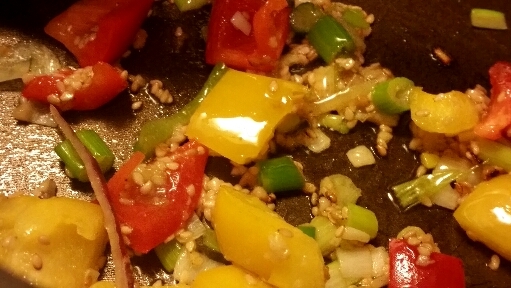 ▪ In a pan heat 2 teaspoon of oil, add garlic and seasame seeds along with green onion and peppers mix. ▪ Saute on high heat for 2- 3 minutes and retain the crunchiness of peppers. ▪ Finally add the deep fried cauliflower florets and mix well. ▪ Adjust quantity of sauces if needed. ▪ Garnish with spring onion and serve hot! !